Do not debate. Buy this PSU. This is an amazing PSU. I had ordered a Corsair CX750M originally, but the coil whine on it was absolutely horrid, and only then I learned Corsair's PSUs were now fraught with issues. I got this replacement after debating getting the Corsair CX850M, and I am SO HAPPY I CHOSE THIS. It is so quiet, I was in-game with my GPU pulling 93% of it's max load off the PSU and I couldn't even tell it was on! Combined with the Cooler Master Hyper 212 EVO, this thing couldn't run better. This PSU is fantastic. Super quiet, fully modular cables with the capability of more connectors than anyone should actually ever need in a home gaming system. The modular cables means you only put in the power wiring that you currently need, eliminating excess wires hanging around in the case. This makes wire management really easy with this PSU. 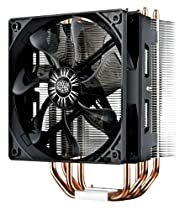 I researched PSUs for my new computer build pretty extensively before settling on this one. 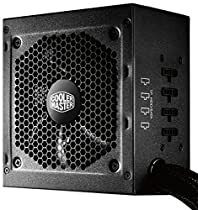 There are a lot of brands out there that put out a good product but in the last year or two Cooler Master has really stepped up their game with their PSU lines, especially with this one. This truly is Gold standard and will handle pretty much whatever you throw at it without complaint. And did I mention it really is actually very quiet. Just one tiny pet peeve I have with this unit though. The logos on the side of the PSU are written so that they are right side up with the fan on the top, ie mounted in the bottom of your case. However on the outside of the PSU next to the master power switch and AC input the company name is upside down. I know, I know. Who spends time looking at the back panel of their computer. Nobody. But I know it is there and for the life of me I can't figure out why CM would write it that way. So if you are looking to build a moderately hight end gaming PC this is the perfect PSU line for you. I ended up returning this because of missed delivery date on another item that went with it but at least I got to check out the PSU, heft, cabling and wattage. Keep in mind, the CM V series is made by Seasonic, one of the top PSU OEMs. I always but Seasonic or Silverstone PSU's for my machines as well as customers. Never had a problem, rock solid and stable. I couldn't find it on the pics provided but this, iirc, was rated for 47 amps on the 12v line alone so I'm assuming the 550w rating is for continuos load.Don't hold me to that but I know it had a really solid, single rail 12v line, I look forward to actually using one of these. Compact, modular and hefty. Highly recommended by Jguru if I recall as well, search johnny guru and you'll find his review.